Whether it’s day or night, call B&D Towing for all your towing needs in Martinez. 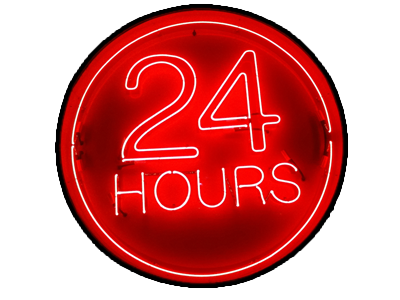 With 24/7 emergency tow truck service, we’ll make sure you’re not stranded when your car breaks down. Our state-of-the-art tow trucks are versatile enough to pull anything from motorcycles to travel trailers. 30 years of experience means we’ve seen it all–there’s no auto towing situation that we can’t handle. Our towing services cover more than simply moving stranded vehicles. If you need help getting a stubborn car or truck back home, we’re on it. But sometimes, cars and trucks are parked where they shouldn’t be. They could be a public safety issue if they’re parked in a fire zone or they could be an unwanted trespasser on private property. No matter what the problem is, if it’s towing related, we can take care of it. Our flexible crew is ready and equipped to handle all kinds of situations. Call us and we’ll get there as quick as we can. No matter what time it is, we’ll get you home safe. If you need multiple vehicles moved, our 14-truck group will see that no one is left behind. If an unauthorized vehicle is blocking your driveway, road access, or a fire zone, we can remove it. You shouldn’t have to deal with unwelcome vehicles at your home or business. Our towing company will transport the vehicle away from your location at the owner’s expense. You might not need a full tow! If you have a minor problem like a dead battery or flat tire without a spare, a full tow is a bit excessive. That’s why we also offer roadside assistance to help you get back on the road. As a locally-owned company, all of our business is in the East Bay area. We know how to navigate the region effectively and efficiently, and our adaptable fleet of tow trucks makes sure you won’t be left out in the cold. As a member of the California Tow Truck Association, you can expect a professional job from an ethical company. Call us for any of your towing needs in Martinez or fill out our contact form and we’ll get back to you as quick as we can!